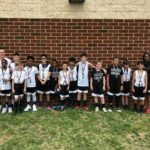 Fairfax Stars > Stars News > Announcement > Fairfax Stars 13u Boys NTBA National Champions!! 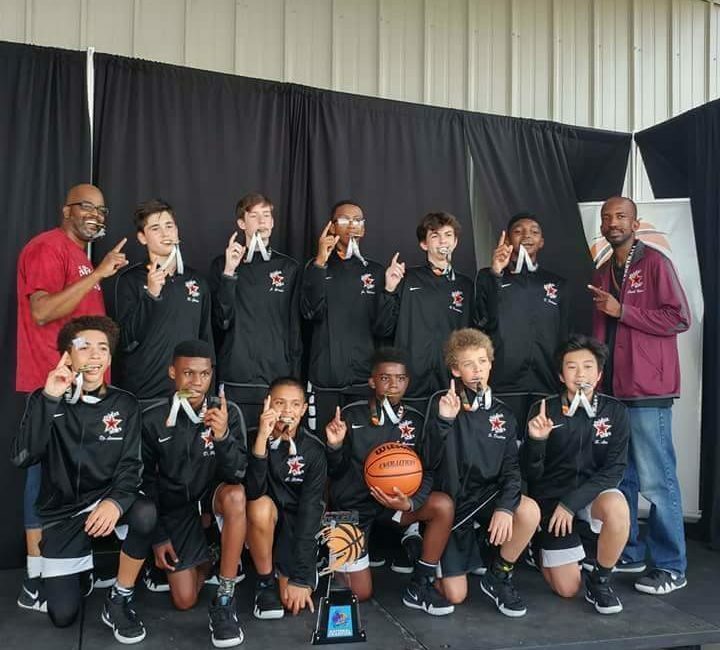 The Fairfax Star’s Boys 13u team played in the NTBA National championship July 16-21. There were 40 teams in their division. The teams were broken down to 10 4-team pools. In pool play the boys won 2 out of 3 games. 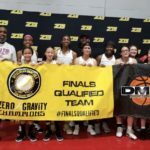 First they defeated the East Coast Allstar (40-22), second they lost a tough game to the Harrisonburg Hornets (45-57) and in their final pool play game they got a victory over the SC Spiders (64-57). With this record there was a 3-way tie. Which landed them in the Silver Championship Bracket by 1 point. Friday, July 20th they played the first of their bracket games vs Hampton Road Rams. They took that game in the last seconds by 1 (48-47). They advanced to the Quarterfinals vs WBC Elite. That game was close through three and half quarters at which point the Stars turned up their level of play and won the game (51-43). Saturday morning, in their Semifinal game, the Stars took on a local rival, Nova 94 Feet. The lead went back and forth but again the Stars were able to take control of the game late with their tenacious defence (45-39). 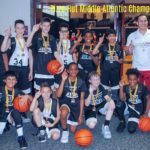 With another victory they advanced to their first National’s Championship. Playing in their first championship getters were high. They drew a tough Carolina Kings team, who had just went into triple overtime in their semifinal game. This game was one for the record books. A nail bitter from start to finish. The Star’s stayed focus and pulled off another victory, 64-62, to claim their first title. Jr Nelson, Owen Friedman, Daryl Pope, Thomas Farrow, Sam Dailey, Cedric Scheu, Robert Goeas, Steven Liu, Rowan DeWispelaere, Keyshawn Anderson, Jack Gorski and DJ Lawrence. 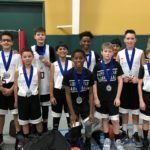 The 13u boys are coached by DeWayne Nelson and Brian Anderson.